Photo by Big Dave Diode. Seriously, what were they thinking? Not even in the same league as Quatchi. At 1st sight, I was thinking: where are they going to ?. I went on the London 2012 website and I saw a video, and it’s kinda cute. And it says ‘to be continued’. So I assume that there will be other stories or videos… VANOC should have presented lots of episodes with Quatchi. 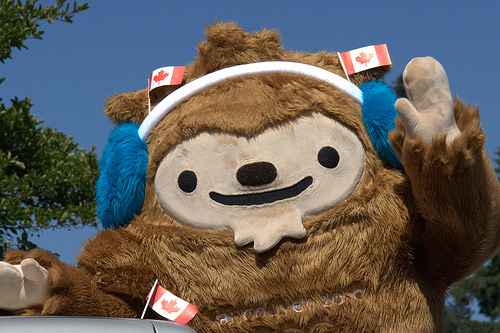 Happy to see that Quatchi is still the best Mascot /Olympic Mascot ever, but then again, they couldn’t top him even if they tried. Their design is not appealing but I’ll tell you 1 thing. 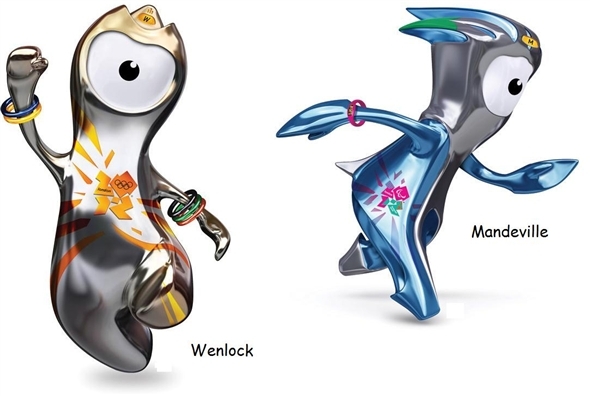 By the video they put about them, Mandeville and Wenlock will attract many people despite their lack of cuddleness. I agree. I like the animation, but I really find the live mascots way too creepy! It is like Monsters Inc, gone wrong!!! !